Being from NJ, I am mostly limited to New York, Pennsylvania, Delaware, etc. for short weekend trips – ones that don’t require me to take off from work. This past weekend I went to the Finger Lakes with a group of friends and was pleasantly surprised by how much we loved the area. 1. Hiked Watkins Glen State Park – the views were AMAZING! And it was a relatively easy hike. 2. 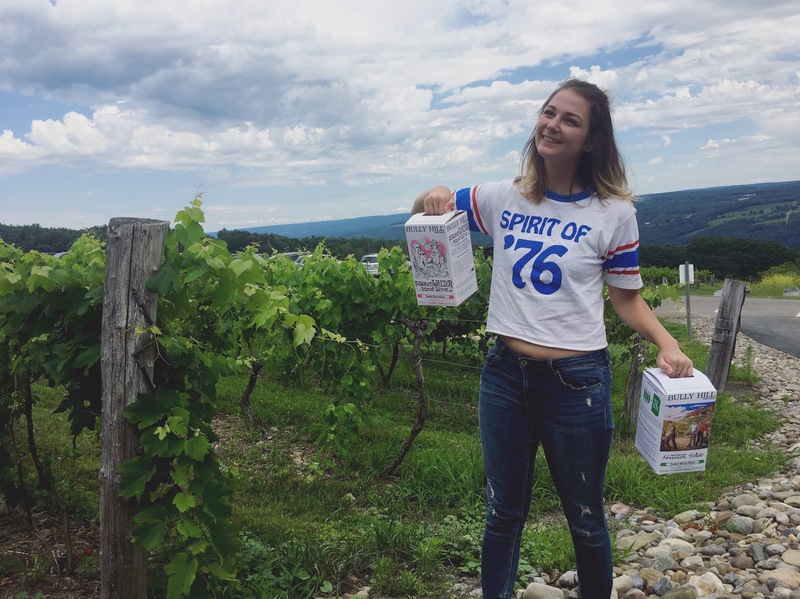 Wine Tastings – the Finger Lakes is the Wine Country of the East Coast. Wineries are a must do! 1. Red Newt Bistro – if you like grilled cheese then you need to try their artisanal take on the sandwich! 2. The Lakeside Restaraunt – great view views of Keuka lake and great food! 1. Red Newt – very fun wine tasting and great views! 2. Wagner- awesome views and also has a brewery! 3. Bully Hill – very quirky, great views, and great wine! The best part of the Finger Lakes was the views of the farms, rolling hills, and stunning lakes. Anything you do there, make sure you’re doing it with a view. All of the places we went were overlooking dreamy lake and hill views. Have you ever been to New York and visited somewhere outside of NYC? Used to live in that area and now live in Michigan. Friends brought some Bully Hill wine last week. We were so excited! I love Finger Lake wine. We never come back with less than 3 cases. This is what I call boxing. Next Next post: Help Me Reach My Social Media Goals!